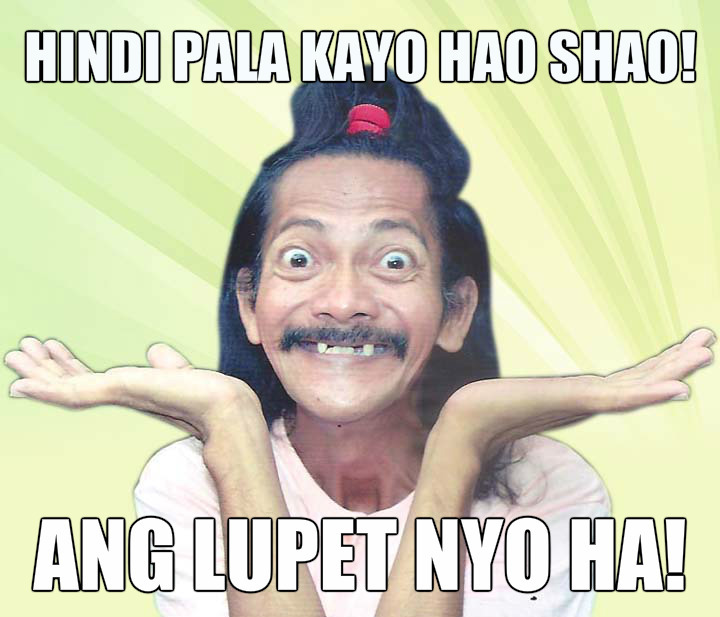 Weh, di nga? 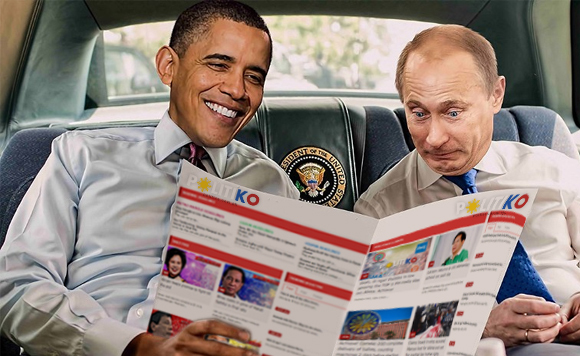 Politiko is now among the TOP 5 PH media sites on Alexa. Achieve! Politiko fans, take a bow. 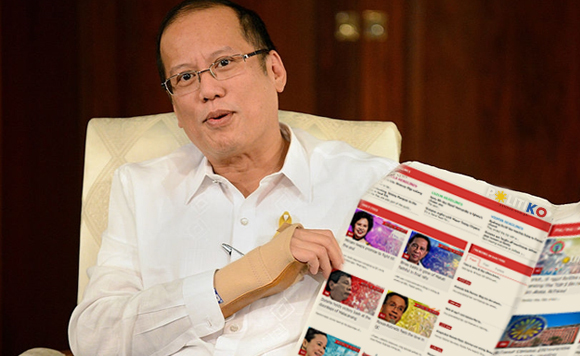 Politics.com.ph is now officially among the Top Five most visited Philippine websites based on Alexa’s rankings. Alexa is a California-based company wholly owned by Amazon.com and is considered as the most popular tracker of commercial web traffic data. Politiko has no relatives or friends in Alexa. 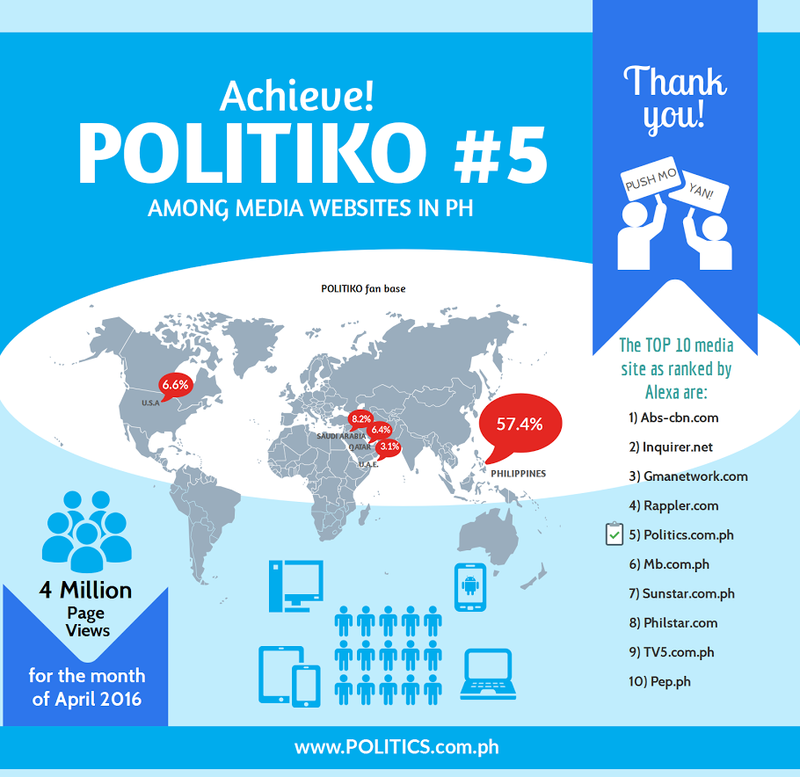 As of the last day of the campaign, 7 May 2016, Politiko was ranked number 39 in the Philippines based on certified metrics from Alexa (yes, we can afford the basic $9.99 per month plan). Politiko fans are mostly based in the Philippines (57.4 percent), Saudi Arabia (8.2 percent), United States (6.6 percent), Qatar (6.4 percent), and United Arab Emirates (3.1 percent). Conceptualized in March 2014 and officially launched in November that same year, Politiko has survived financial issues, staffing problems, face palm moments, creative differences, a tragedy, hao shao insults and numerous hackings. 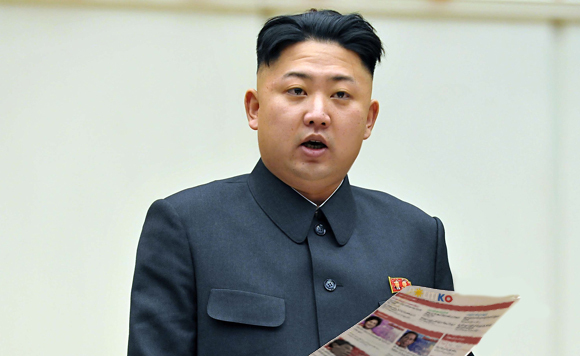 We even managed to say no to a massive buy-out offer a year ago. So stand up Politiko fans, and be counted! You deserve a thousand hits and shares for pushing this little website that could. We know we wouldn’t have reached this far without you. Love us or hate us, you know you’re addicted to us.